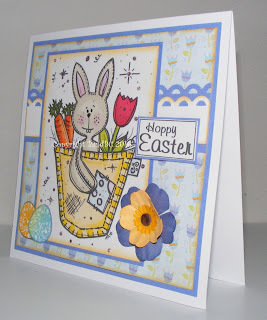 Bright and Breezy Crafts: It' s Easter! 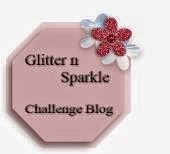 The challenege at Glitter n Sparkle this week,. is "Easter!" It's for my niece and nephew. The image is called "Pocket Patootie Easter Bunny"
It was a lovely image to colour with my promarkers. I decoupaged his arm, so it stands off the image. I punched the border and the sentiment is from my pc. The backing paper was in a pack that cost me £1 a number of years ago. It's a lovely spring flowers paper. 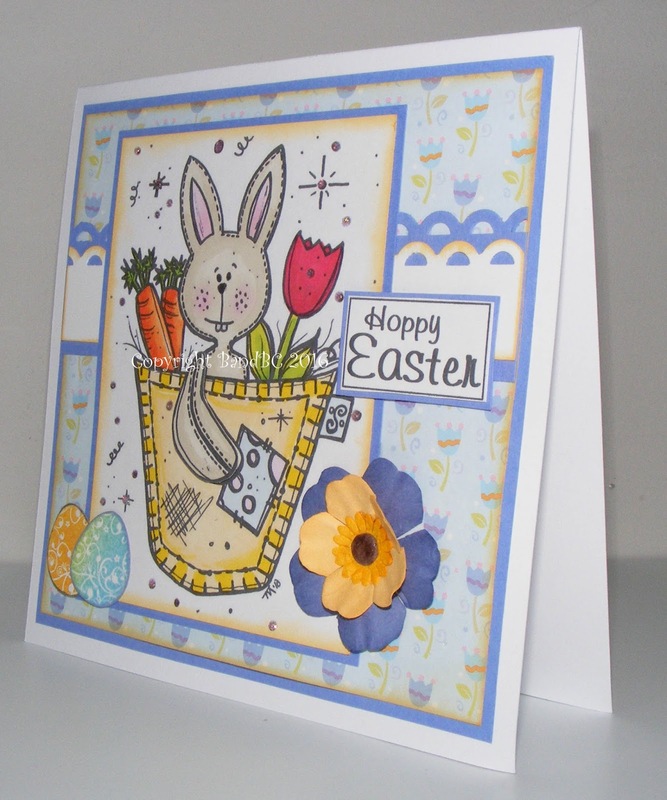 Lovely Easter card. Thanks for joining us at The Paper Shelter. Adorable Easter card. 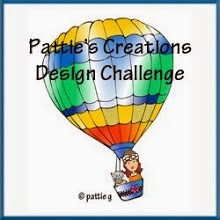 Thank you for joining our challenge at Crafty Gals Corner. Really cute card! Thanks for linking up at Cardz 4 Galz! Your image is so cute. Coloring awesome! This really made me smile. Thanks for joining with us at QKR Stampede! Super cute! Love this little image. Thanks for joining us at Crafty Cardmakers. A beautiful Easter Card. I love how you have added another dimension to your wonderful image with the decoupage and your eggs and flower are perfect embellishments. 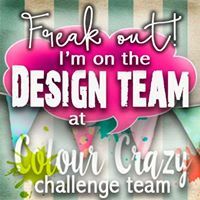 Thanks for joining our challenge at Crafty Cardmakers. Sally.x.